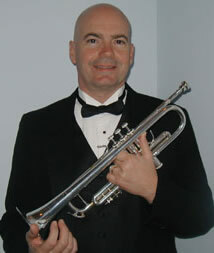 Robert (Bob) Gravener is an accomplished, professional trumpeter. A former faculty member of the Hamilton Township (New Jersey) school system, Bob taught for 32 years and became director of bands before retiring in 2013. He is presently the conductor of the Princeton University Wind Ensemble, having been appointed to that position in 2010. Bob has been a member of the Philly Pops since 1993. He performs widely—nationally and internationally—as a freelance musician, having shared the stage with notable personalities, including Tony Bennett, Natalie Cole, Debbie Reynolds, Rosemary Clooney, Aretha Franklin, Mel Torme, Clark Terry, Doc Severinsen, Sarah McLachlan, and Arturo Sandoval; and with numerous acclaimed groups, including, Yes, Deep Purple, the Temptations, Mannheim Steamroller, Il Divo, the Four Tops, Frankie Valli and the Four Seasons. He participated in a PBS television special, The Songs of Johnny Mercer, featuring Melissa Manchester, Johnny Mathis, John Pizzarelli, and Margaret Whiting. Bob can be heard in recorded performances with the Manhattan Transfer, jazz organist Joey DeFrancesco, Peter Nero, the Philly Pops, the Philadelphia Boys Choir, and the City Rhythm Orchestra, as well as on a Grammy award-winning recording, Live at Carnegie Hall with Patti Page. He occasionally plays in a “big band” in New York City at Lincoln Center, Birdland, the Blue Note, and Swing 46. In 2015 Bob had the distinct honor to perform for Pope Francis in front of Independence Hall, Philadelphia. 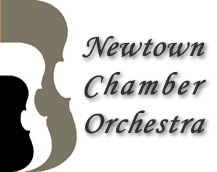 Bob has performed with many local classical ensembles, including the Newtown Chamber Orchestra, Capital Philharmonic, Delaware Valley Philharmonic, Trenton Symphony, Boehme Opera, and the Trenton Civic Opera. He is the father of three children, Sarah, Bobby, and John, and the new, proud grandparent of baby Mckenzie. He enjoys traveling with his wife Eloise, especially to Italy where he frequently performs, as well as spending time at their summer home on the Jersey shore. The couple reside in Bordentown Township, New Jersey.